The extended version of this book is a masterpiece. The narration by Grover Gardner is perfect. I doubt any review I could leave would sway you into purchasing this or not - so I'll just say that this book is excellent all the way around. Why did you do this? Just why? Let me start by saying that I LOVE 14 and The Fold. I even love Paradox Bound and the Ex books - although these aren't part of the Threshold series, they're still really great stories. This... this was not. That being said... this book just didn't do it for me. We're introduced to characters who never get truly fleshed out and then we're fighting the undead in no time at all. This leaves us little time to revisit these characters and learn about why we should care if they live or die. The book, as a whole, felt like a SyFy original movie. Don't get me wrong, it's leaps and bounds better than Sharknado... but still several levels beneath the other books by Peter Clines. Even Ray Porter's reading felt slow and I had to speed it up to 1.5X normal speed just to get through it... and I love Ray Porter as a narrator. I have almost every book he's read. The characters are Cali, Jake, Tessa, and a bunch of other people who die and become zombies. We eventually learn that Jake is working on the moon to escape his tragic past in the Marines. Cali is there to get away from the apparent trauma of finding out she's not good at ballet? -- in 14, the backstory of Xela and Roger are far more in depth than Cali's. I seriously had trouble caring about either of them. They are empty characters who suddenly "take charge" and save the moon...? And Tessa is apparently a super nerd with bad teeth? That's all we learn of her. Jake's backstory sees to exist just so it makes sense for him to a: have a gun and b: have a PTSD moment with the zombies. None of them read as people... they seem to exist only to fill plot points. The connection to 14 and The Fold are tenuous... we are given a vague prologue and epilogue that are basically the same thing floating through the void of time. Even the monster lacks the depth given in the other books. It's a vague, shambling monster that has tentacles and is hungry... if I hadn't read 14 or The Fold, I would be slightly put off by the vagueness of the thing. The ending is vague as well. They go back to work? Seriously? And the thing is adrift in space? I get it - it leaves us open to another book... but why? There’s a bounty hunter to catch, an army to shake, and a biker gang full of dentists hot on his tail. The bounty hunter Mr. Christopher has kidnapped Erica, and The Librarian and his dog, Chewy are desperate to get her back. Willie and Coy like money and they are after The Librarian to collect the price on his head. Hawk and his gang of wasteland raiders are after Willie and Coy for a breach of contact. In the powerful city of Alasis, a movement is growing and the people consider The Librarian a hero. Lord Invictus wants the movement stopped and has sent the fearsome and mysterious Skinners to finish what Mr. Christopher started. 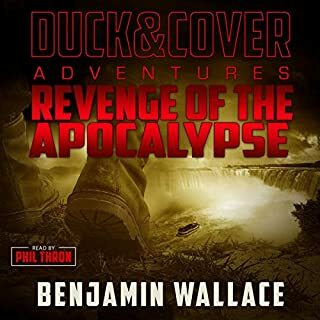 The third installment of Benjamin Wallace's Duck & Cover Adventures is just as good as the first two... Full of the same humor and lighthearted murder that just gets you through the day. 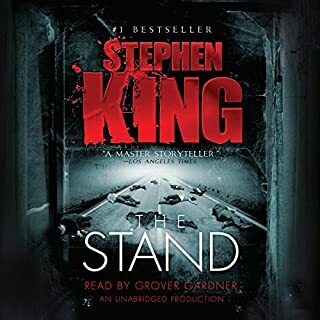 At that time you quickly go to the ole Audible library and find the next book... because you have to know what comes next. They’ve taken everything from him. Now Jerry and Chewy are headed to Niagara Falls to take out the wasteland’s greatest villain once and for all. But The Librarian isn’t the only one looking for revenge. Several other post-apocalyptic nomadic warriors have experienced Invcitus’ horrors firsthand and are in town to find vengeance. The Bookkeepers have lived under the tyrant’s iron fist for far too long. They’re well informed, organized, and ready to strike. Look, I purchased the first book in the series on a whim... I purchased the second book because I loved the first. I purchased the third book because the first two were so amazing... and I purchased the fourth in the sole hope that there will be a fifth, sixth, and seventh book to follow. This series has been fantastic along every step of the way and if you're here reading reviews on the fourth book - you probably know this already. So stop reading and get it. It's absolutely worth it. From the skies to the sea! I LOVE the Hell Divers books. 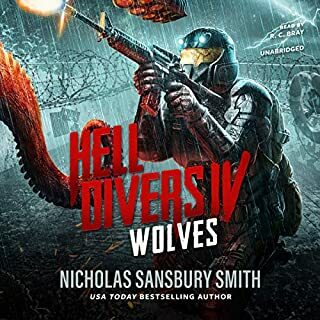 Each one has stepped up a notch in action and intensity and I thought for sure book 3 - Deliverance - was the best... but Nicholas Sansbury Smith delivered on IV! In the first books we have a good look at the new nightmare of the world at large as the Hive and Deliverance fly through the skies trying to keep the last humans alive in the radioactive nightmare that the earth has become. In Wolves - we take to the high seas as X and Magnolia try to track down the cannibalistic Casadores and the fabled "Metal Islands." But the sea monsters aren't the only challenge... an old enemy laying in wait in the shadows of the new world still lurks to bring destruction on the humans of the Hive an Deliverance. If you've already read/listened to 1-3 then you don't need my review to convince you how great this series is. Building upon a collapse, this follow-up exceeds! It's like Dune-Light. But in a good way. 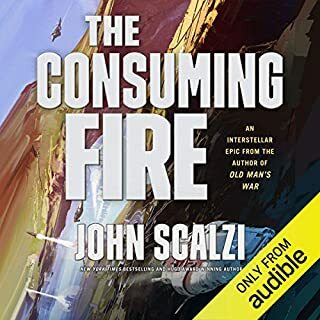 First - Wil Wheton is a fantastic narrator for all of John Scalzi's books. He delivers the lines as I believe Scalzi would want them delivered - and it works. Second - I love the world building in the Interdependency Series. Like, a LOT. There's a lot going on here. Third - there's the rub. There is a lot going on here. The sequel to "The Collapsing Empire" was very... wordy? We have plots within plots within plots... it's like someone tried to boil down all of the conspiracies and treason in "Dune" into a much shorter book... which isn't bad with the exception that I felt the ending was a little too abrupt. It's as though someone said "All of that stuff you read for 200 pages... just got thrown out." Don't get me wrong - I love the book. But I just feel like this book exists solely as a set up to the next book and isn't as long or fleshed out as it needs to be. Some chapters are very long, very talkative, and nothing gets done. Others are short and nothing but things being done... but without the dialogue and backstory. It's like Dune-Light. But in a good way. I still liked it. A Good Post Apocalyptic Series For 1 Credit!! I am an apocalypse junkie. I've read almost everything I can get my hands on about stories involving life at the end of things... And the scariest of all scenarios, to me, is an EMP (Electro Magnetic Pulse). Other books have touched on them and done a fair enough job making that scenario into a work of fiction - but they usually seem like a really over the top "how to" guide for Preppers - not saying it's a bad thing, just that it does make for good fiction. Nicholas Sansbury Smith, however, has made this into good fiction while still addressing the "how-to" aspect of being prepared. WWIII begins in the skies over the U.S. with the detonation of three nuclear devices resulting in an EMPs. If that wasn't bad enough, the attack is followed up by a secondary device that take out Washington DC. Dealing with the EMP is least of the problems for former Marine Sam "Raven" Spears and the man he's usually at odds with - Police Chief Marcus Colton... they are in the midsts of a manhunt for a potential serial killer who has come to the quiet, tourist town of Estes Park, CO. It's good story showing the immediate fallout of life after an EMP mixed with a gripping murder-mystery. I look forward to the rest of the series to see where Smith takes us in the new, dark world. As the stories continue we see more of the overall fallout across the country. The Sons Of Liberty - a Neo Nazi "army" is trying to take over Colorado, and eventually the country. In other cities gangs and thugs are running rampant. And as winter approaches, disease and starvation become a real threat to everyone who survived. There are allies and enemies on all sides and the people of Estes Park have a very rough time of it all. While the books focus mostly on Estes Park, CO and the people there, but we're also take around the country with Secretary Montgomery - the newly appointed Secretary or Defense - as she and the new President try to salvage what's left of the United States. Eventually accepting help from the government of China... which brings with it a whole new level of problems. We also have other characters such as Nile Redford - basically a mobster trying to carve out a place for himself in the new world. Sheriff Thompson - a former MMA fighter turned psychopath wanting to make himself King of Colorado. And General Phoenix of the Sons of Liberty who wants to cleanse the lands of non-whites... and they all have one common enemy, Raven Spears. Violence, gangs, and nightmares abound as the people struggle with the harsh realities of the "new world". And it's not an easy reality to live with. I won't lie to you - the narration has some flaws. But that is personal taste. I love Bronson Pinchot's narration more often than not, but this one left something to be desired. It's a good story overall and made even more so by the fact you get 33 hours for 1 credit. A price on their heads has driven Jerry, the post-apocalyptic nomadic warrior, Erica, and their loyal mastiff west in search of a new beginning. 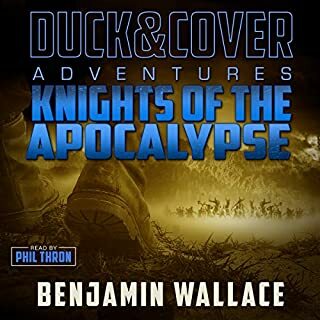 But when their truck breaks down in what was once Southern Colorado, they are swept into an epic quest at the behest of King Elias, ruler of the Kingdom of the Five Peaks. On their quest, they will meet old friends and new foes, mutant cannibals, savage mountain men, fearsome knights, and much, much more. When I first discovered Jerry, the Post Apocalyptic Nomadic Warrior, I thought for certain there was no way to keep up the great storytelling with all of the humor, snark, wit, and sometimes heavy and/or sad moments. Color me shocked! Because not only does this book pick up after the end of the first book - it keeps on rolling with every bit as much of the things I loved from the first. The characters, the hilarious banter and situations, and the social commentary by Wallace. 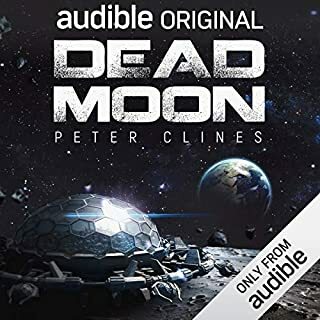 I cannot wait until the next book is available on Audible. 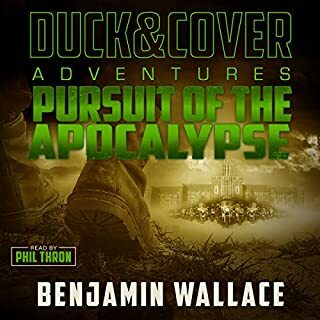 Phil Thron is an excellent narrator and he reads Benjamin Wallace's stories with the perfect touch of humor. If you've ever read A. Lee Martinez or similar authors and loved them - you will love these books. An excellent addition to your audible library. The Robot Uprising Is Here - And it's hilarious! For such a short book, Junkers is a lot of fun. I read the "Robopocalypse" by Daniel H. Wilson and was so disappointed that I almost gave up on the genre as a whole. But along comes Benjamin Wallace with his team of Junkers - Jake, Kat, Mason, Savant and Glitch - and I'm back in the game! Life is supposed to be easier when robots do all the work, right? Then why are they murdering people? The story starts out with a murder, is followed up by a murder, and ends with another murder or two... and, yet, I found myself laughing and eagerly consuming page after page of this story. It's fun, lighthearted, and full of characters that I couldn't help but like - and want more of in the future. 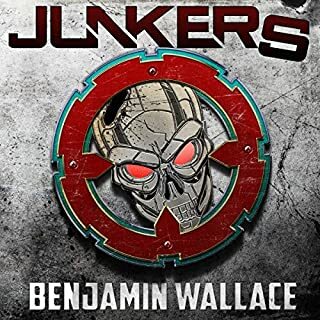 Junkers is the Robot Uprising we should all be reading... and we should also be calling our movie representatives and asking for this to be optioned. Seriously, folks, Benjamin Wallace's wit and sense of humor make him a national treasure. 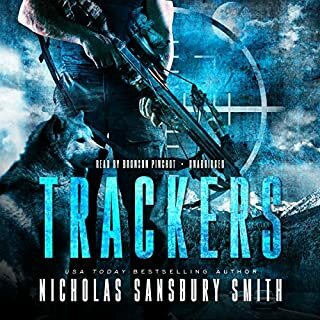 Estes Park police chief Marcus Colton and tracker Sam "Raven" Spears have never liked one another, but when a young girl goes missing in Rocky Mountain National Park, Colton hires Spears to help find her. Their search ends after a night of devastating horror. 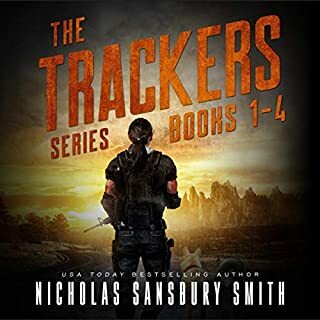 When word reaches Estes that the nation has been hit by a coordinated electromagnetic pulse attack, Colton and Spears are forced to work together again. But they quickly realize they aren't just tracking a killer - they are tracking a madman. It's good story showing the immediate fallout of life after an EMP mixed with a gripping murder-mystery. I look forward to the rest of the series to see where Smith takes us in the new, dark world. This one story is clearly the doorway into something larger and more encompassing just like Smith has done with The Extinction Cycle and Hell Divers.